Turn your cart abandonment emails into the superstars of your digital marketing roster with examples from some of the world’s biggest and best-loved brands. 28 pages ( 10 minute read ). "Finally, marketers have their own version of a high fashion lookbook. There are some fantastic examples of how to win back lost customers in here - all as eye-catching as they are effective." 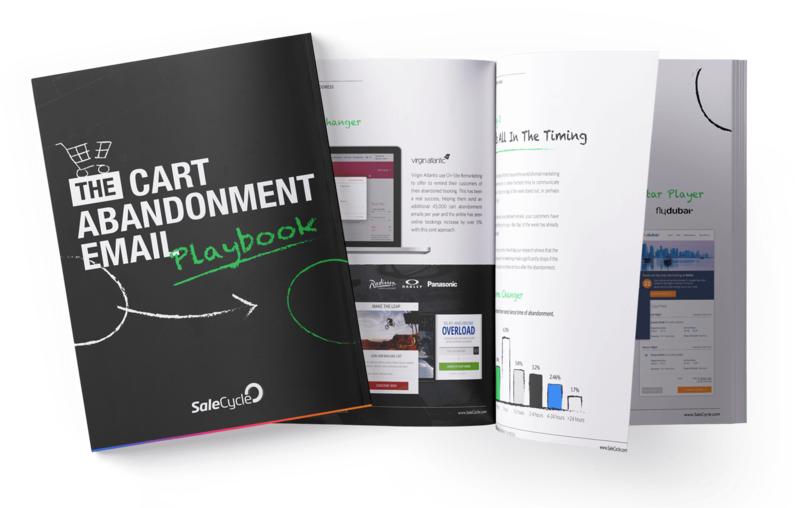 "The average cart abandonment rate is around 75% for e-commerce retailers. This playbook sets out a load of great tactics for brands to win back these 'lost' customers"
"This guide is a great read, with some valuable stats on the issue of cart abandonment, as well as some useful tips on reducing abandonment rates and winning back customers who leave without buying"
"A must read for anyone looking to raise their remarketing game."